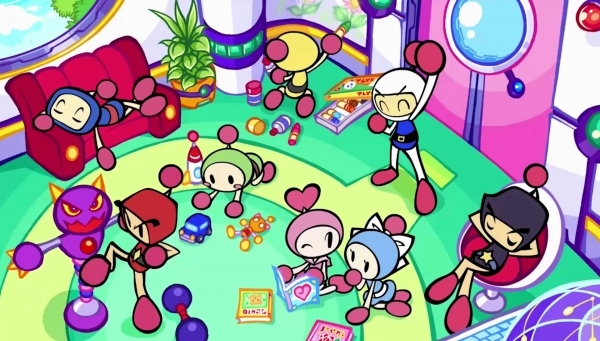 Bomberman celebrates its 33rd anniversary. Konami has announced Super Bomberman R exclusively for Switch. It will launch physically and digitally alongside the hardware on March 3. All key Bomberman elements return for the Nintendo Switch title, including useful items found within the destructible areas of each maze. Removing a wall will often reveal a power-up to extend the range of the explosion or endow the user’s Bomberman with a useful skill. These include faster movement, the ability to kick or throw bombs, and more. Thus, as players gain ever more devastating capabilities, they must use all their skill and ingenuity to ensure their opponents get caught in a blast while avoiding its fiery touch!